I love the name of this tipple. Don’t ask me why – when I think about it as a drink, it doesn’t sound too appealing. But when you consider its value as a flavour enhancer for desserts, doesn’t it sound highly intriguing? Well it did to me anyway (I really ought to get out more). I’m not very patient when it comes to doing recipes in stages – especially when there is a day or two’s delay between said stages – but I was willing to face the challenge with this particular recipe. 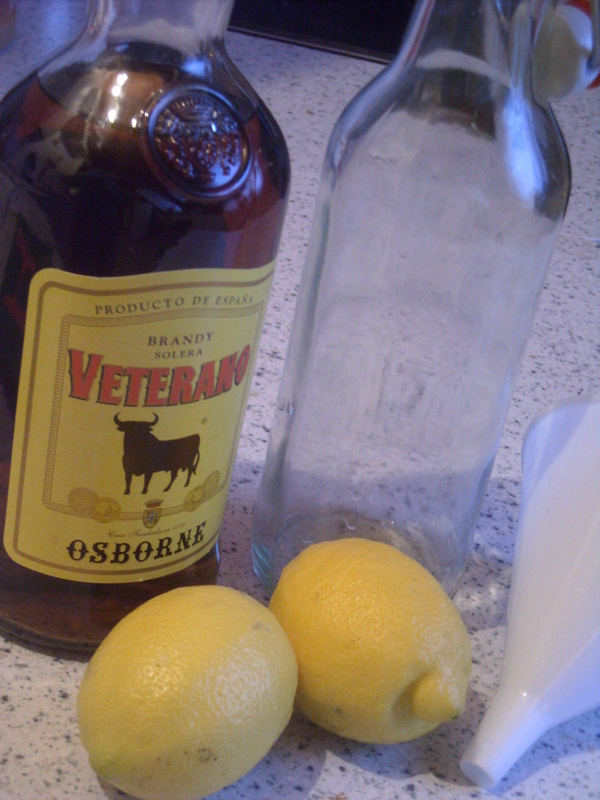 INGREDIENTS – 1 pint of brandy, the rind of two small lemons, 2 oz. of loaf-sugar, 1/4 pint of water. 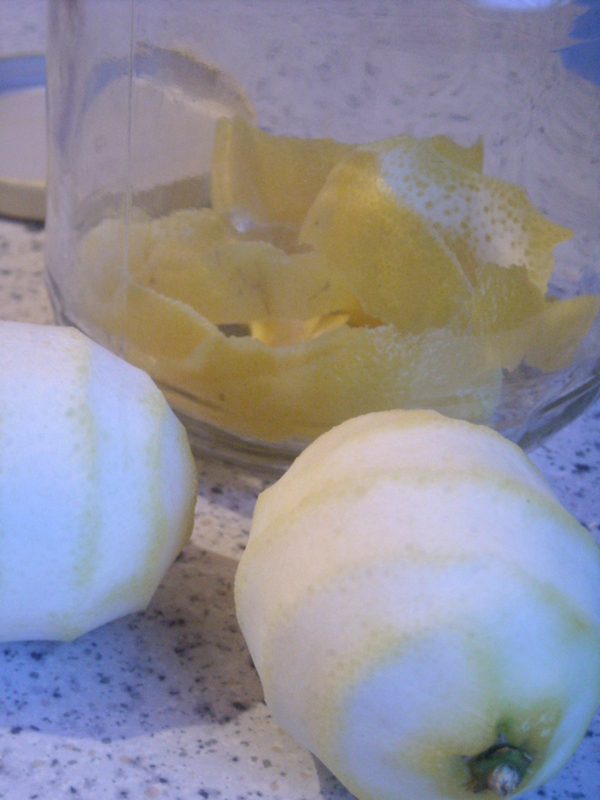 Mode.—Peel the lemons rather thin, taking care to have none of the white pith. Put the rinds into a bottle with the brandy, and let them infuse for 24 hours, when they should be strained. Now boil the sugar with the water for a few minutes, skim it, and, when cold, add it to the brandy. A dessertspoonful of this will be found an excellent flavouring for boiled custards. Part 2 will reveal how I got on with this. This entry was posted on February 3, 2010 at 6:36 pm and is filed under food. You can follow any responses to this entry through the RSS 2.0 feed. You can leave a response, or trackback from your own site. I love the article. It looks yummy. Thank you!